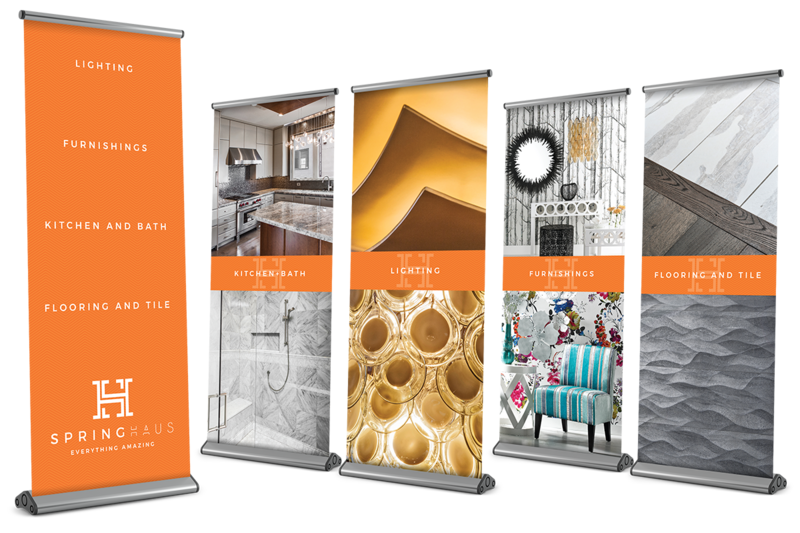 We only sell deluxe banner stands because they are much nicer than the standard ones. The graphics are available in fabric or matte vinyl. The fabric material has a luxurious look and feel. The vinyl material will reproduce your artwork a bit sharper. Setup is quick and easy. When not in use, the graphic retracts into its aluminum casing and everything fits inside the included soft carrying case. Display walls are 8' tall. They are available straight or curved and come in 8' or 10' widths. 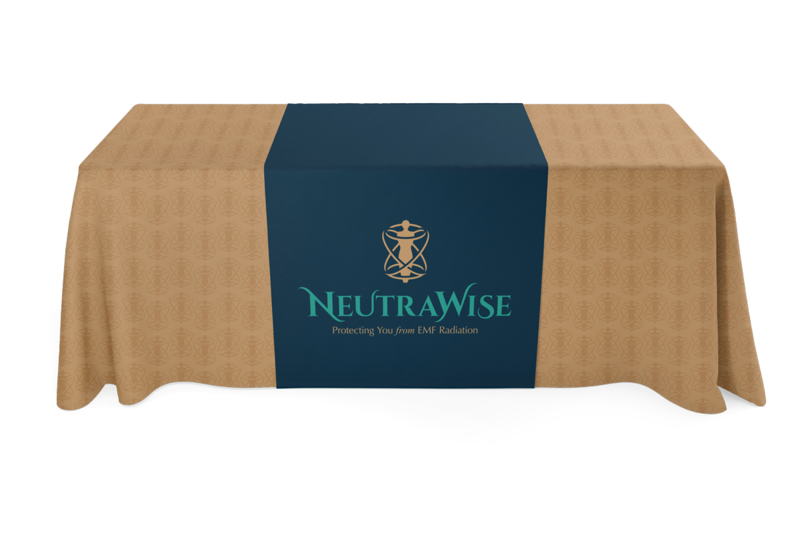 Tension displays consist of a lightweight but durable aluminum frame and a fabric print. The fabric print is stretched tight across the frame and zipped close. With tension displays, you can print graphics on both sides. Velcro displays include a fabric print that is attached to a pop-up frame. The graphic expands with the frame when on display and folds with the frame for storage. 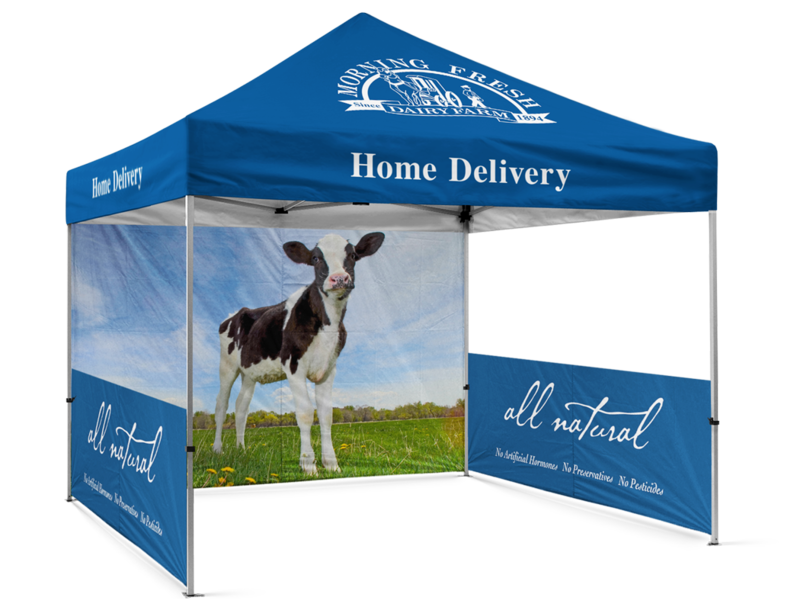 Canopy tents offer the next level in outdoor advertising with 360 degrees of branding. The canopy is printed seam to seam on weather resistant tent polyester. The hex shape aluminum frame provides heavy duty strength. Setup is easy–ropes, stakes, and standard carrying bag are included. Telescopic legs allow you to adjust the height and the tent canopy expands with the crank of a handle. 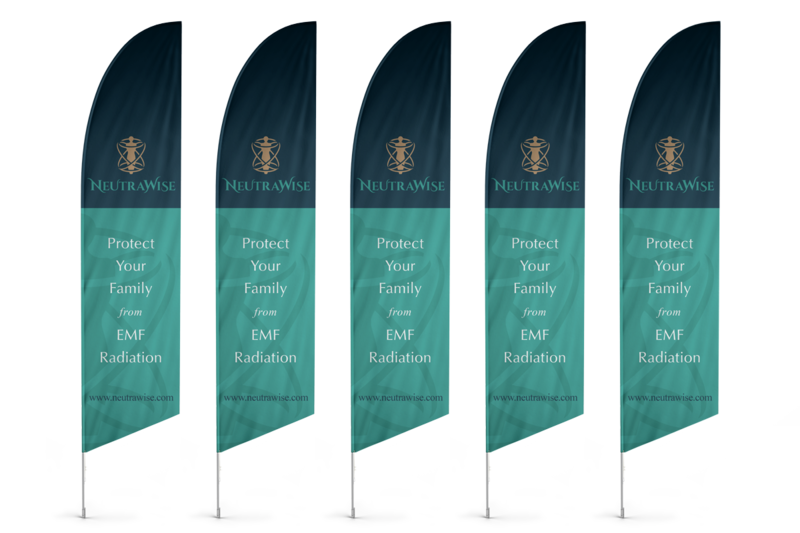 Advertising flags are available in sizes from 9' to 18' tall and are suitable for indoor and outdoor events. They can be printed on one side or both. The 4oz Polyester flag material is scratch resistant and 100% washable. Available hardware options include a heavy duty base for indoors or a ground stake for outdoors. Optional carrying bag is also available. Table Runners for $59. Table Cloths for $259. Table covers are printed on 100% washable polyester fabric. 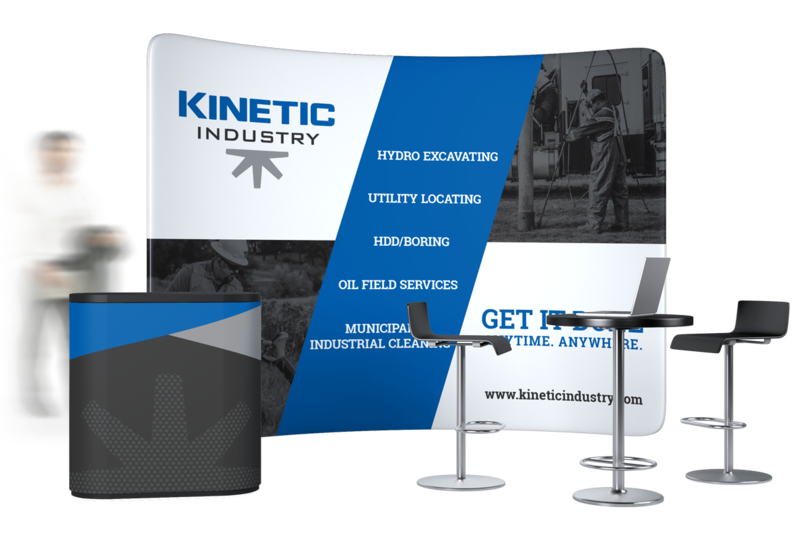 Draping a 30"x80" custom runner over your presentation table is a simple way to elevate your trade show booth with style at an extremely affordable price. 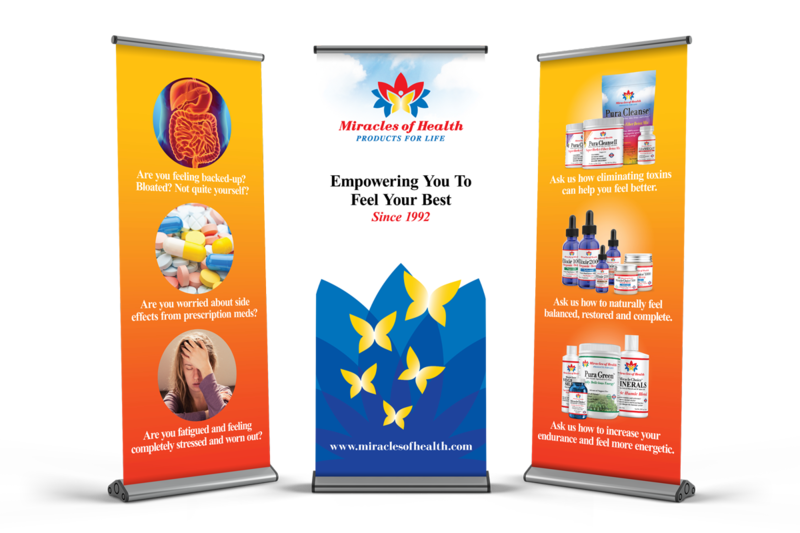 A table cloth printed with your custom graphics is perfect for trade shows. This table cover drapes over 4 sides of a 30" tall by 30" wide table and will hang approximately 2" above the floor. They are available in lengths to accomodate 6' and 8' tables. We can design, create, and ship your display fast. Here's how it works. Using the form below, tell us what displays you are interested in. 1-2 days after placing your order, we send you a digital mock-up. Approved art goes to production. Display ships in 3-5 days. Have questions? Check out our event displays FAQ.